I read this Spurgeon quote recently, and it has come to mind a lot since. 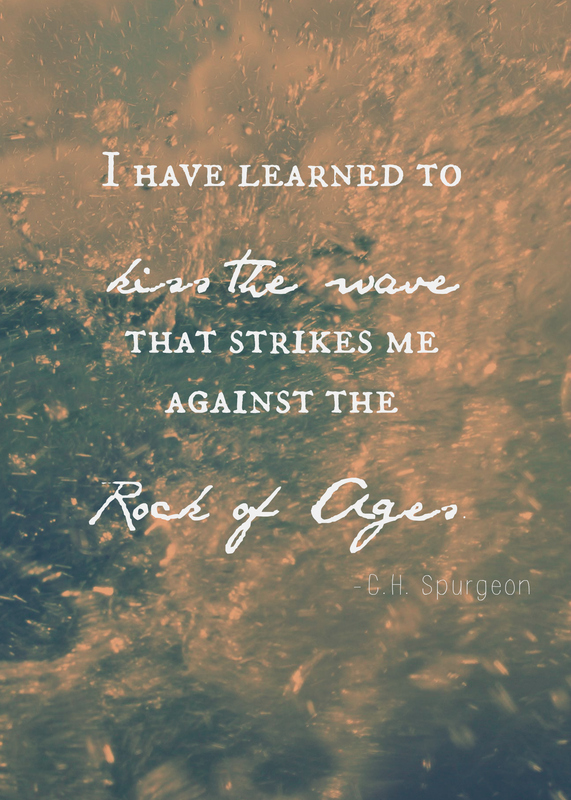 If you feel like you are being struck against the rocks today on the waves of life, look up and see your Savior there. The Rock of Ages ready to hold you steady. Amen.